Changzhou Shinma Drying Engineering Co., Ltd.
Automatic egg shell crushing machine Chicken Egg shell removing machine Description: 1.This machine can separate egg liquid from egg shell after breaking the egg automatically . 3.This machine is of stable performance, safe and reliable, high production efficiency, good separation, widely used in packinghouse and egg liquid egg power processing manufactory. Compared with flat screen, it's durable and not easy to be jammed; butter filtering effect to make no granular impurities left in egg liquid, 4. High collecting rate, up to 97-99% of the egg liquid. 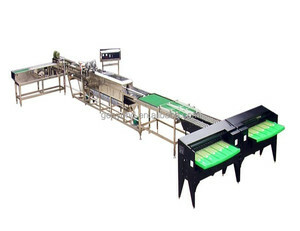 Can be connected with air classifier consisting of production line for protein separating and extracting from agricultural product,for example:pea protein,wheat protein. 2.Provide technical data,equipment floor diagram,space diagram, installation detailed drawing and electric system drawing,etc After-Sales Service 1.We shall offer equipment schedule,equipment layout,foundation drawing etc. 2.Provide installation guide,commissioning and technical training,assure production operation on schedule and design requirement. 2.The machine uses the relative movement between the active fluted disc and the fixed fluted disc to impact, grind and crush the target materials. 4.The crushed material is discharged directly from the grinding chamber of the main frame. 5.Those pharmaceutical, chemical and food stuff products from the machine are in accordance with national requirement. The grain crusher are all made of SUS 304 stainless steel , machine shell internal(crushed slot)all alveolar precision machining to achieve a smooth surface,easy to clean,so that food,drugs,chemical production more in line with national standards,to achieve the health requirements of the GMP. Features of cocoa bean processing equipment 1.SUS 304 good quality stainless steel 2.high quality motor which use copper wire 3.the replacement of the screen can control the grinding granularity size . 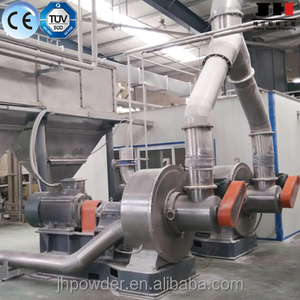 Application of powder grinder mill : Chemical material,traditional Chinese medicine,tree branch and block shape material , oily grain seeds(sesame,walnut,ground nut,dry red dates and etc) , varies of spice material,coarse cereals and other hard or brickle material. As a result, the production of sugar can better conform to the state standard and the GMP requirement . 1) We are golden supplier on alibaba with a history of more than 9 years . (We only provide 3P, because our machines are all for industrial use,not for family. The hot air enters into the drying room in a uniformly spiral form. Through a very short time of contacting the hot air,materials get dried. The final products discharge continuously from the bottom of the drying tower and from the cyclones. 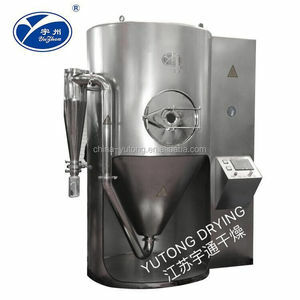 The spray drier is widely used in the liquid shaping technology and in the drying industry. Through the very short time of contacting the hot air, the materials can be dried into the finished products. 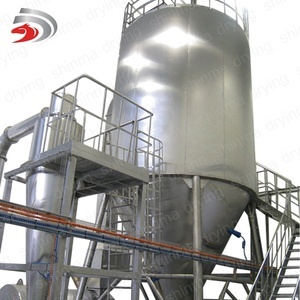 The evaporation of moisture from surface of liquid drops starts from constant-speed drying stage. 11. A filter has been equipped to the inlet unit to prevent the sample from contamination. 13. Narrow size distribution, more than 95% of the dry powders are in the same range of particles. We will replace any failed components at no charge to the customers for parts or shipping. The self-priming peristaltic pump delivers the sample liquid from a container through a small diameter jet into the main chamber. At the same time an integral compressor pumps air into the outer tube of the jet which causes the liquid to emerge as a fine atomised spray into the drying chamber. Most solutions and suspensions can be spray dried providing that the resulting product has the characteristics of a solid material. high effective stainless steel egg powder making machine,strawberry juice powder making machine,rice powder making machine Specifications: I. Features of high effective stainless steel egg powder making machine,strawberry juice powder making machine,rice powder making machine A. Shandong Double Win Agriculture and Animal Husbandry Machinery Co.
Alibaba.com offers 3,393 egg powder machine products. 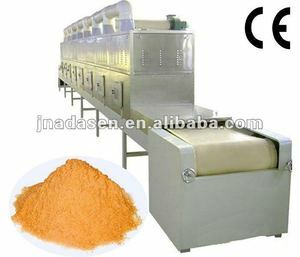 About 15% of these are spray drying equipment, 10% are other food processing machinery, and 1% are other drying equipment. A wide variety of egg powder machine options are available to you, such as free samples, paid samples. There are 3,401 egg powder machine suppliers, mainly located in Asia. The top supplying countries are China (Mainland), India, and Hungary, which supply 99%, 1%, and 1% of egg powder machine respectively. 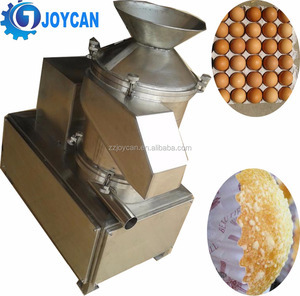 Egg powder machine products are most popular in Southeast Asia, Domestic Market, and Africa. You can ensure product safety by selecting from certified suppliers, including 822 with ISO9001, 731 with Other, and 118 with ISO14001 certification.